PetGlad is an online retailer offering pet food and pet supplies. It offers over 15,000 different pet products, and most can be delivered to your door anywhere in the U.S. within 24-48 hours. 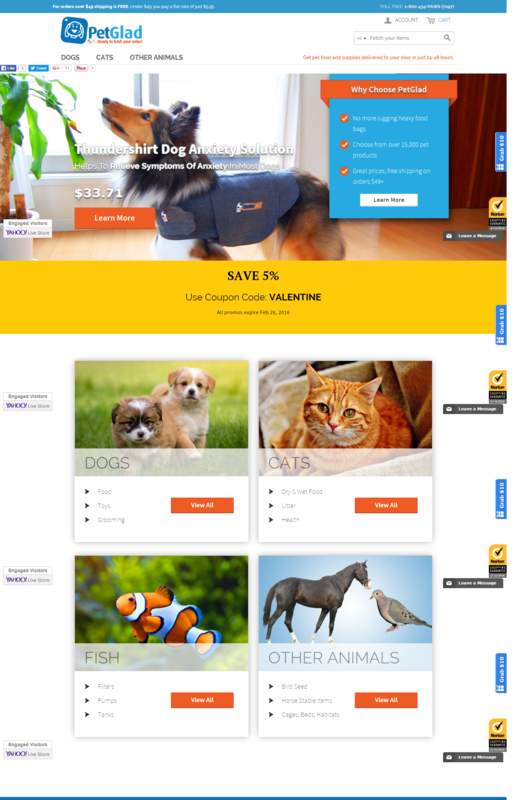 PetGlad’s website looked very much like all its competitors’ sites. It was an online catalog of pet products for sale. While that was fine from a retail standpoint, it wasn’t helping PetGlad to set itself apart from its competition and build its own unique brand. Susan Greene, working with web designer Ben Ursal, set about rewriting and redesigning key pages such as the Home, About Us and Auto-ship pages. 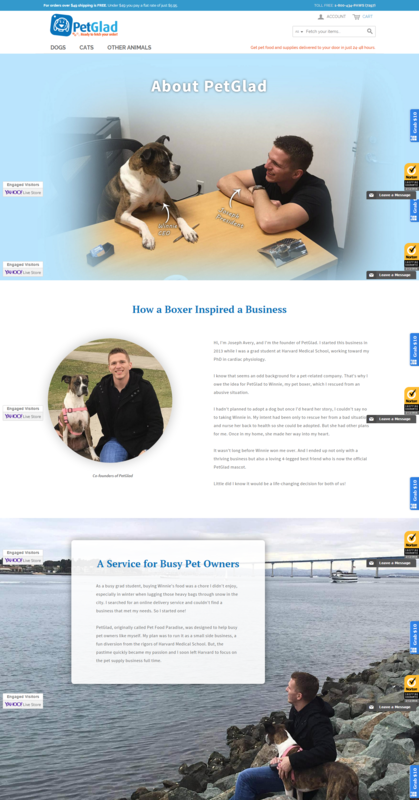 By adding benefit-filled, informative copy complemented by adorable pet photos, the site was able to improve its search engine ranking for its main keywords and increase conversions. It also began to develop a distinctive image for the company, which it would use in all its future marketing materials. Now visitors rarely arrived at the home page and clicked off. Instead they stayed on the site for at least several minutes and most eventually made purchases. In addition to increased sales, PetGlad had significantly more people signing up daily for its Auto-ship Program and subscribing to its newsletter. Everything looks absolutely amazing! Brilliant work! The new Home, About Us and Auto-shipping web pages are awesome! I could not be more impressed. Very, very nice! Would fresh copy and a new design make your website more effective? Let's talk about the exciting possibilities.